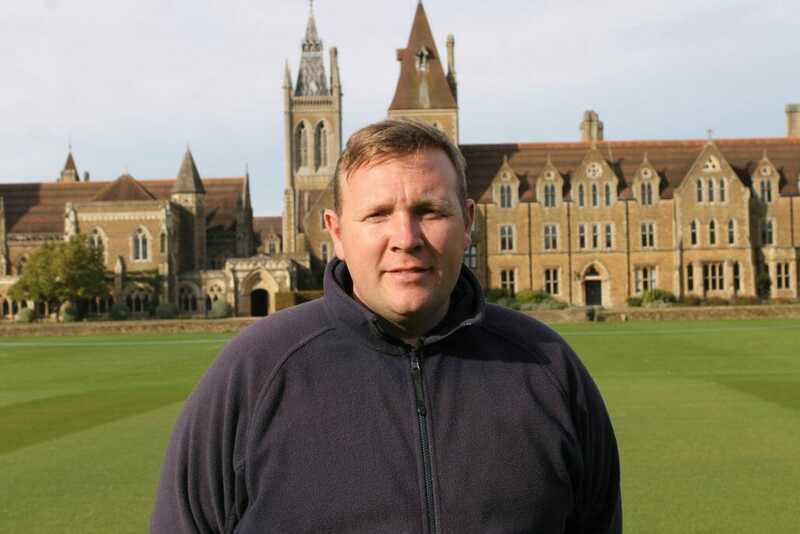 Lee has been grounds manager at the prestigious Charterhouse for the last two and a half years. He oversees a team of fourteen members of staff who meticulously tend to the school’s grounds and sports fields. Currently there are 3 hockey pitches, 12 tennis courts, 18 artificial cricket nets, 7 cricket squares, 15 grass football pitches, 1 rugby pitch, 1 lacrosse pitch AND a 9-hole golf course. Ever the perfectionist, Lee insists on working only with the best products and equipment which is most suitable for his site. Therefore, when it came to looking for a grass seed for his cricket squares it was not a decision he took lightly. MM is one of the most respected brands in the UK sportsturf and amenity industries and is relied upon at top sports grounds throughout the UK and beyond. In particular, MM50 is ideal for cricket squares and outfields. This hard-wearing mix has rapid germination, very fine leaved appearance, high shoot density and is tolerant to very close mowing, along with high disease resistance. All these attributes together produce a fantastic sward that has great colour all year round. “I’m really happy with MM50,” said Lee. “It provides fast establishment, strong rooting, a strong plant, and the playability is good. We’ve now got rooting down at 4/5 inches which is really promising. With prolonged heat and drought conditions challenging turf managers this year, Lee was no exception, and with this is mind he was looking for a seed that could potentially help after a particularly difficult summer. As a result Lee invited Richard Sheppard (Limagrain amenity seed specialist) to the school and together they identified a potential solution. As well as reporting excellent results from the products, Lee was quick to praise the service and the support he receives.